Would it be nice if you have your very own domain, a lot of bloggers using Blogspot really want to have their own domain but most of them are worried if that is possible to achieve to have a custom domain Blogger blog, or that it’s way too expensive to have one. We’ll to all bloggers who wish to have one, I suggest that you have your own domain for your blog, especially if you’re really serious with your blogging career. To help you out here’s a simple tutorial on how you could have your very own Blogger custom domain for your blog. It’s pretty simple actually, and all you have to do is to follow the instructions in the video that I made especially for you. 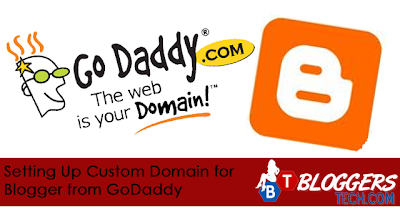 *GoDaddy Domain – I’ll assume that you already have bought a GoDaddy domain already. On how to buy a domain on GoDaddy is not included in the tutorial. So I’ll also assume that you already have an account at GoDaddy for this Blogspot custom domain tutorial. *Blogger Blog – Obviously you want to have your own custom domain because you are planning to have or already have a blog. Assuming that you all have these and that you’ve successfully logged in to these accounts, you can go on and watch the tutorial video I’ve prepared for everyone. *In entering your custom domain on blogger, don’t forget to put and include WWW. before your domain name. *For domain forwarding, don’t forget to put and include WWW. before your domain name. Because the logic and explanation there is that we’re going to forward the blogger custom domain of your blog the “domainname.com” to “www.domainname.com”. *Domain forwarding may take a while to have its effect. You don’t have to wait, you can just leave it and check back later if it is working. *Is it possible to have a Blogger custom domain? *Is it expensive to have a custom domain? For me NO. You can buy your own custom domain for at least $1, if that’s expensive for you then it is expensive. *I’m not a techy person, I don’t know how to set up my own custom domain for Blogger. You don’t need to be, it’s not even a requirement. As long as you can type, you know what letters and numbers are, and you can click buttons, well you can do it yourself along with the video tutorial above as your guide. *I already have a blog post on my Blogspot blog, am I going to lose them? I usually buy domains during sale. Just like during the new year, there was a $1 .com domain sale and also on February at GoDaddy. If you can wait, then just be up to date on the sales that GoDaddy have. .COM is not the only domain extension in the world. We also have .biz, .info, .net, etc. I think .info is the cheapest that’s why I bought it for my first blog ExoticPhilippines.info and I got it for only around $2 that time. It’s not really necessary to have a .com extension of your website. It doesn’t actually matter, even for SEO. $50 Friday: Win $50 March 9 2012! Why Bloggers Blog and Loving it?